Happy Monday! 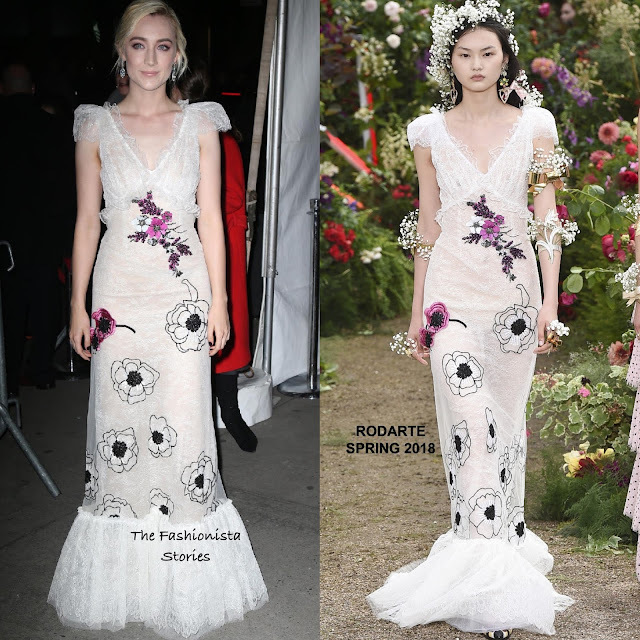 Coming in with the most votes for Best Dressed Fashionista of the Week and also my pick, is Saoirse Ronan in Rodarte Spring 2018. In second, Margot Robbie in Givenchy Spring 2018 and in third, Olivia Palermo in ba&sh.